That’s too easy to understand, but not for 120 Filipina women loading a bus on their way to their part-time jobs at shopping malls located in Deira and Satwa. The authorities checked their visas and confirmed that all passengers were under visit visa. All 120 women were detained at Al Awir Central Jail in Dubai, facing a charge of 1000 AED each and deportation. 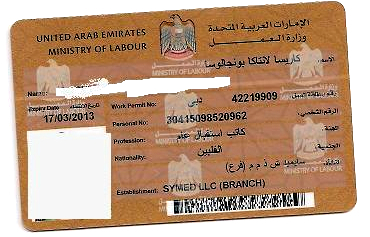 Their employers are paying even more, 10,000 AED for every employee who doesn’t have a valid working visa. Who could have tipped off the cops? That was not mentioned on the 7day newspaper. UAE cops and their cars used to give me goose bumps. I also came to UAE on a visit visa so I had to go through the fretful first months trying to get an employment visa. I never felt like a beggar in my whole life, & I kept asking about fairness in hiring standards while job-hunting. You’re hoping to earn big bucks? Pls. go somewhere else. UAE does not leave one much time to choose. Or you may come if you were hired directly by a UAE company from the Philippines, airfare, salary and contract well-discussed. Scrutinize their offer. If I don’t seem supportive of anyone asking for help to get a job here, do thank me. It means I just care enough for you.